Home » Characters » Nana – Isn’t the Chemical Bank on this Block? Nana – Isn’t the Chemical Bank on this Block? 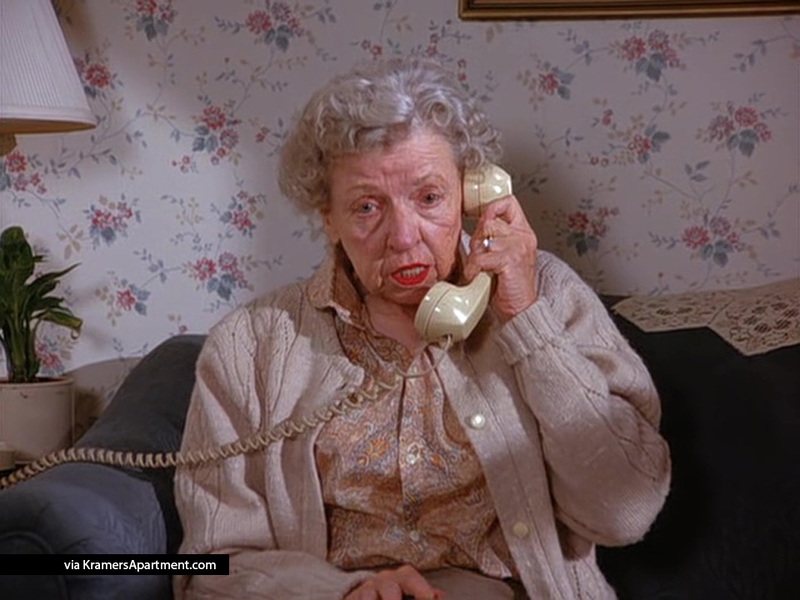 Nana is Jerry’s grandmother and the mother of Helen Seinfeld and Uncle Leo. She became a widow in 1962, when her husband, Jerry’s grandfather, died. Nana is played by Billye Ree Wallace. Nana sends Jerry a check for $10 every year for his birthday. When Jerry decides to cash them in (years later), due to her not using Chemical Bank anymore, she is overdrawn and therefore has to go refund it. She gets lost, and Leo believes that she is missing. 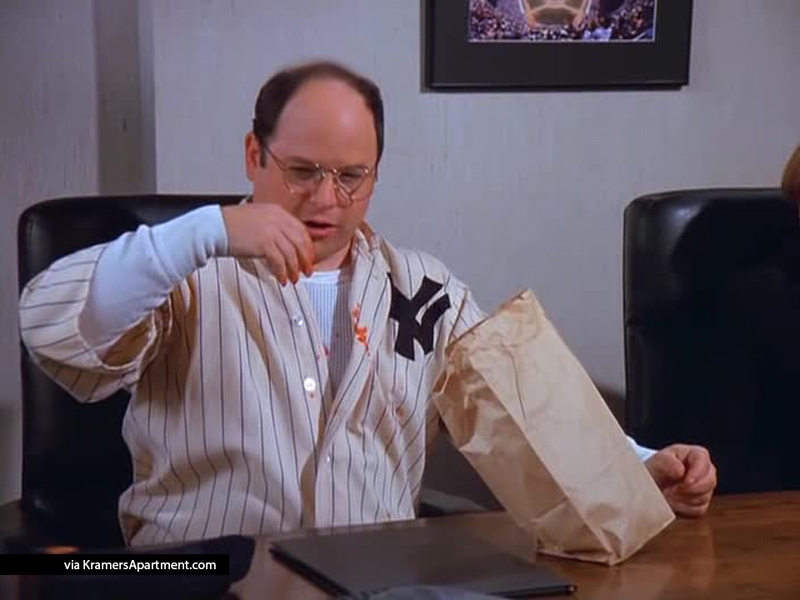 Nana calls Jerry over to open up a bottle of ketchup, and when Jerry goes to her apartment, Uncle Leo is also there. Nana mentions something about Leo owing $50 to Jerry’s mother, Helen as her mind starts to mix up the present and the past. When Jerry tells his father, Morty, he calculates what the interest would be on $50 after 50 years. Later, Jerry finds out that Uncle Leo put Nana in a nursing home, presumably to “silence” Nana from talking about the $50. Elaine is interviewing for a job at Viking Press and in order to stay at the company’s suite at the Plaza Hotel she let them think that she is coming from out of town, using Jerry’s parents’ address in Florida as her own. But when Jerry contracts fleas and has to get his apartment fumigated, convinces Elaine to give the hotel suite to his parents so they have a decent place to stay. 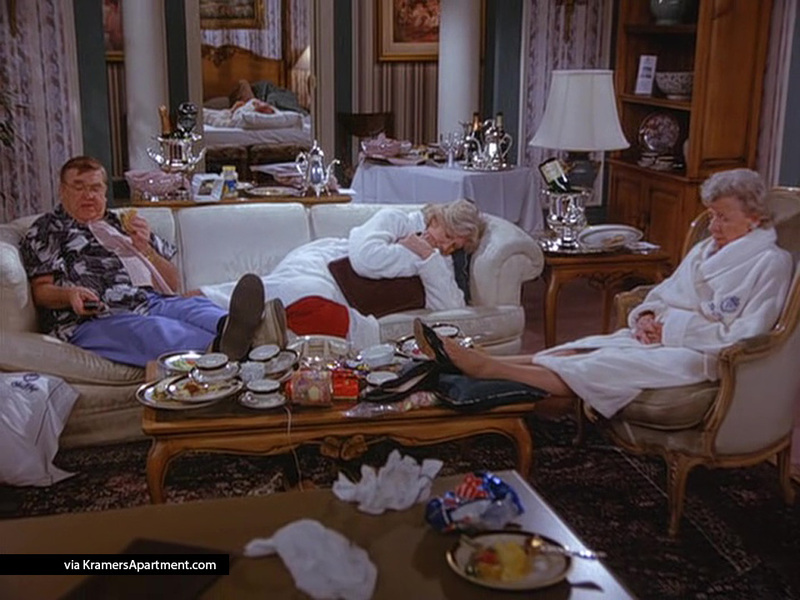 At the Plaza, Morty, Helen, Uncle Leo and Nana lavishly use room service, watch four pay-per-view movies at the same time, order $100 massages and food at great expense. Voice: Hello, this is Chemical Bank. Just wanted you to know that your checking account is overdrawn. Nana: Chemical Bank? I haven’t used that account in months. Voice: Well, someone’s been cashing the checks and you’re overdrawn. Nana: Oh dear. I’ll be down there first thing in the morning. Street tough: Looking for something, lady? Nana: Isn’t the Chemical Bank on this block? Street tough: The bank? It burned. It’s gone! Street tough: Now what you wanna do is go down to forty-ninth street, that’s the main customer service branch. Ask for Mr. Fleming. He’ll help you. Nana: Hello, I need to speak to Jerry. 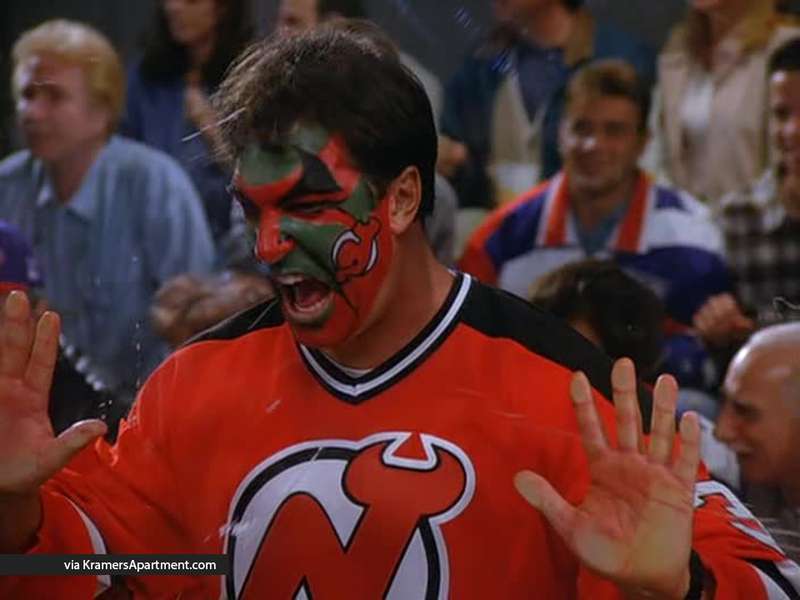 Elaine (thinking it’s Dan): Oh, it’s you. We were just talking about you. Listen, Jerry doesn’t want to talk to you. Nobody wants to talk to you, so why don’t you just drop dead? Leo: Aren’t you gonna kiss her hello? Jerry: Yes. Yes of course. Nana: Ha, well, here’s the bottle. Leo: (grabbing the bottle) I’ll do it. Jerry: (also grabbing) What’re you doing, I got it. Leo: Give it to me. Jerry: Will you stop it. Leo: Jerry, will you give me the bottle? 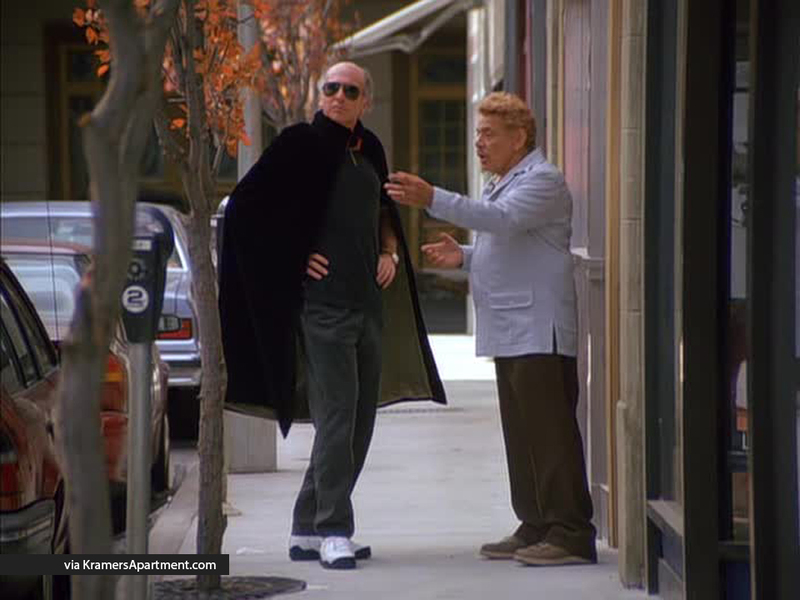 Jerry: Uncle Leo! (releasing his grip) Alright! Take it! Nana: You should let Buddy open it. Leo: Buddy? He lived next door to us forty-five years ago. Nana: Leo, did you give Helen the fifty dollars? 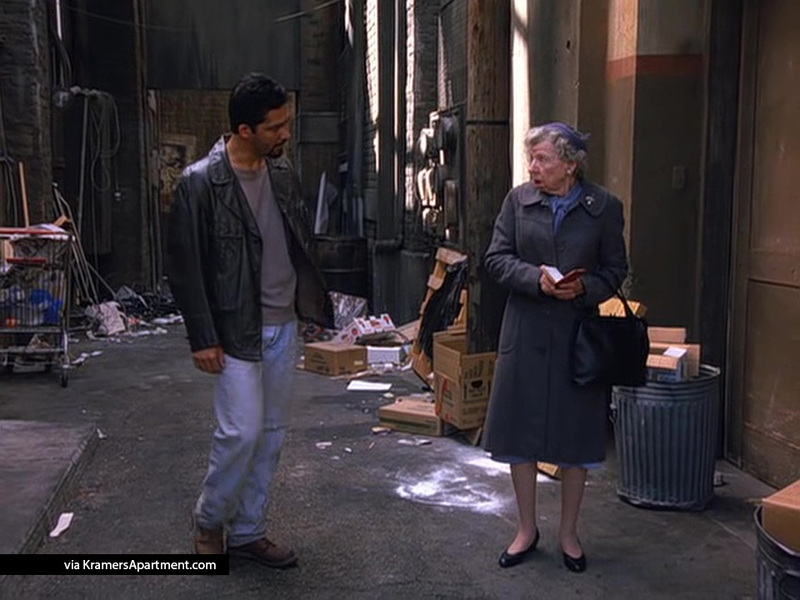 Nana: Your father won a thousand dollars at the track last week, and he gave you a hundred, and you were supposed to give fifty dollars to your sister. Leo: Ma, dad died in nineteen-sixty-two. Jerry is staring at Leo, with an expression of suspicion. Leo: (laughing off Nana’s confusion) Believe me. I don’t owe your mother fifty dollars. Nana: He Ha Ha Ha…Let the chambermaid clean it up.